White organic cotton shirt with blue stripes. 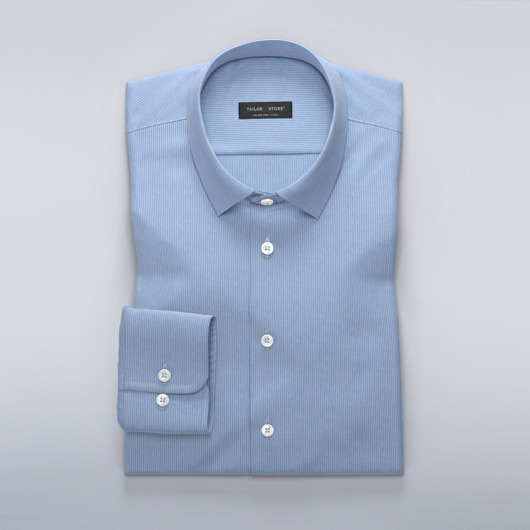 Featuring a classic collar and matching white buttons, this shirt is the perfect fit for an environmentally responsible professional. Pair with a suit or dark chinos for a sophisticated look. Made to your measurements.